The City of Racine Fire Department again employs a rapid response, knockout strategy for responding to reported fires within the community. This typically requires two fire engines, one ladder truck, one rescue squad, and the Battalion Chief to respond on the initial alarm of fire. Once it is established that the reported fire is in fact a working fire, we immediately send an additional engine or quint company as a fire fighter rescue team (RIT for Rapid Intervention Team) in the event of a catastrophic incident where a fire fighter becomes trapped or stricken in the burning building. On average we initially have 14 fire fighters on the scene of an incident. Not all fire fighters from the initial response can be involved in the direct attack on a fire. Each fire fighting company and individual members have specific responsibilities and tasks to accomplish within seconds of arriving at the scene of a working fire. Establish a water supply, pull hose, forcible entry, implement the ventilation of heat and smoke away from fire victims, search and rescue, and scene safety are but a few tasks requiring immediate attention. Often times all of this is done without the fire fighters having knowledge of the layout of the residence. We must adapt on the fly to the multitude of residential home configerations that exist in the community. Imagine putting on a blindfold and trying to find your way around your home in total darkness. Approximately 15% or 1,300 annual calls for service are for fire or fire related emergencies. Failure to send adequate staff on the initial response for fire may result in the incident progressing beyond what the on duty fire suppression resources can manage and cause death or critical injuries to fire fighters and fire victims alike. In addition there will be increases in overtime expenditures for the recalling of off-duty fire fighters. The City of Racine Fire Department employs a rapid response, knockout punch strategy for responding to medical emergencies within the community. This approach provides us with the immediate resources necessary to prevent medical emergencies from becoming catastrophic, life ending events. We send the right equipment and enough personnel to do the job correctly the first time. This option best suits our community's needs and our available resources. Advanced Life Support Calls for cardiac emergencies, heart attacks, strokes, diabetic reactions, asthma, and other breathing difficulties results in the closest fire engine to the incident along with a Paramedic rescue squad being dispatched at the same time. All fire engines carry emergency medical supplies that allow those crews to immediately start life saving measures while waiting for the Paramedic rescue squad to arrive. We have more staffed fire engines than rescue squads. Effectively and immediately mitigating an incident maximizes our on duty resources, prevents additional risk to our citizens, reduces property losses, and improves the safety of our fire fighters and paramedics. Approximately 85% of all annual emergency calls for service are medical in nature. For 2013 this involved approximately 8,500 calls. Of these 8,500+ EMS related calls, over 4,800 EMS calls or about 60% of the calls, required advanced life support (Paramedics) compared to the national average of approximately 40%. The City of Racine Fire Department provides a multitude of other services to our citizens, and the citizens of Southeast Wisconsin. We are the State Regional Type 2 Hazardous Materials Team for Southeast Wisconsin. The training and skills acquired and paid for by the state are used right here in our community on a daily basis. We also provide emergency water rescue through our dive team, confined space rescue, high angle rope rescue, and problem solving for unique situations that tend to occur on a regular basis. 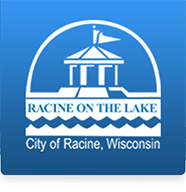 The City of Racine Fire Department has pre-planned the need for outside resources in the event of a catastrophic emergency. In the past the department had a variety of written agreements with surrounding communities for this assistance. These were commonly called recipical aid agreements. Today we have a standardized mutual aid agreement known as MABAS (Mutual Aid Box Alarm System). MABAS does not help with fire fighting and rescue operations in the first 30 minutes of a fire. It takes time to mobilize these resources and does not help the fire department initially perform rescue operations for trapped victims of fire. MABAS is recognized by Wisconsin and across the nation and is a practice of sharing fire and EMS resources between communities when a community exhausts their own internal resources during a catastrophic event. MABAS provides standardized guidelines to assure a baseline level of effectiveness and interoperability. MABAS is not meant to be a solution in an effort to reduce staffing, but is meant to assist departments when a community has a single catastrophic event or a multitude of smaller emergencies that strip the capabilities of that department.